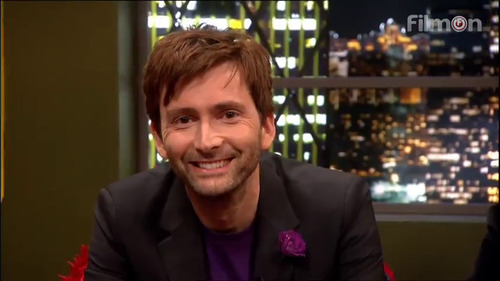 David Tennant was a guest on The Jonathan Ross Show on ITV on Saturday 5th January 2013 at 9.45pm to promote Spies Of Warsaw which premieres on BBC Four the following week. The Jonathan Ross Show was repeated an hour later on ITV + 1 and again on ITV on Thursday 10th at 10.35pm. The show was recorded on Friday 4th and this was the link to apply for tickets to be in the audience. The other guests on this show were Jeremy Piven, Phil Taylor and Sarah Millican. The worldwide link to download David Tennant's interview has been posted to Tumblr.